Like so many things in life, Apple's horrific new Maps app would be funny if it weren't so sad. But after Apple decided to ditch Google Maps for its own troubled offering in iOS 6, users have been left with bad directions, incorrect business listings, and a missing Statue of Liberty. 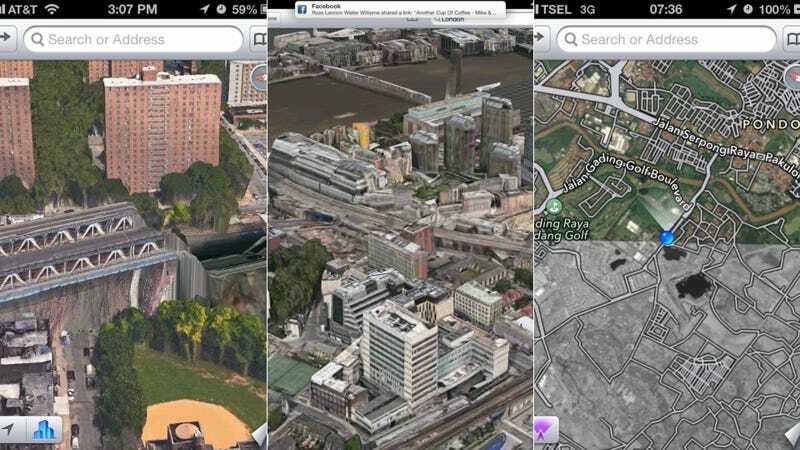 Will Apple Maps get better? Sure, eventually, in the long run, after Apple collects enough user data to make a viable product. But for now, get ready for a future filled with mosque hotels and taxidermy drivers. Or just wait it out until Google Maps gets an app of its own.